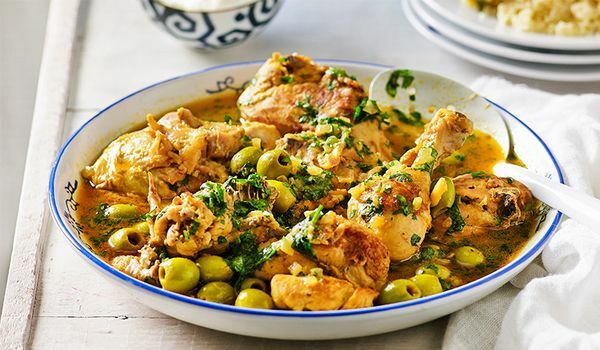 Olive Chicken is a tasty and lemony dish served best with rice. Learn how to make/prepare Olive Chicken by following this easy recipe. Place a large skillet on fire and heat vegetable oil. Add onion, ginger and paprika. Sauté till the onions turn golden. Place the chicken pieces over the onions. Add water, lemon juice, salt, black pepper and olives. Cover the skillet and cook for about 1 hour till the chicken turns tender.